Haitian-American singer Jason Derulo is back in Haiti nearly 3 months after shooting his video "Colors," the Coca Cola anthem for the 2018 World Cup. 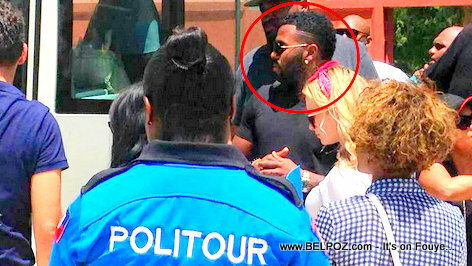 Haiti's tourism Police POLITOUR accompanies Jason Derulo during his second visit, the Haitian ministry of Tourism said on their twitter page. So far we don't know exactly why singer Jason Derulo is in Haiti this time but, he did promise to return to Haiti to look in to possible investments in the tourism sector.